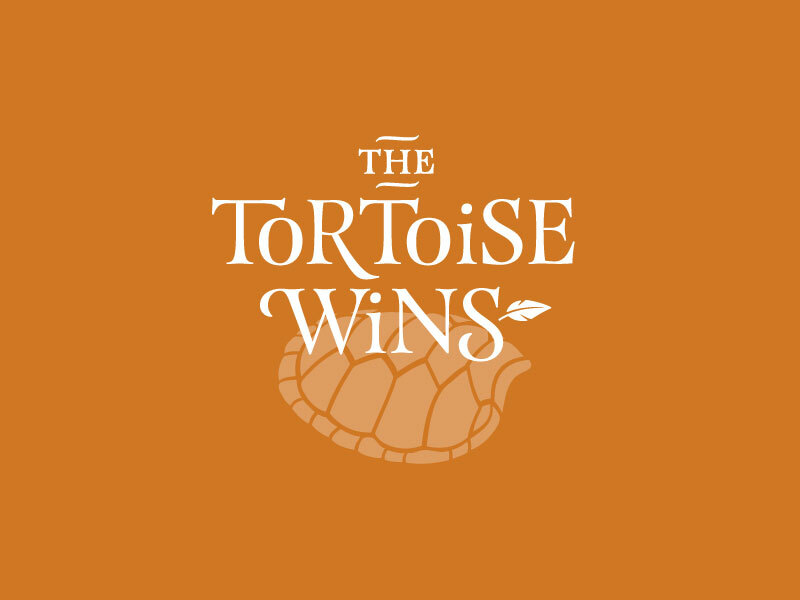 Two-color emblem designs for children’s organic cotton t-shirts, using local and California motifs. See more. 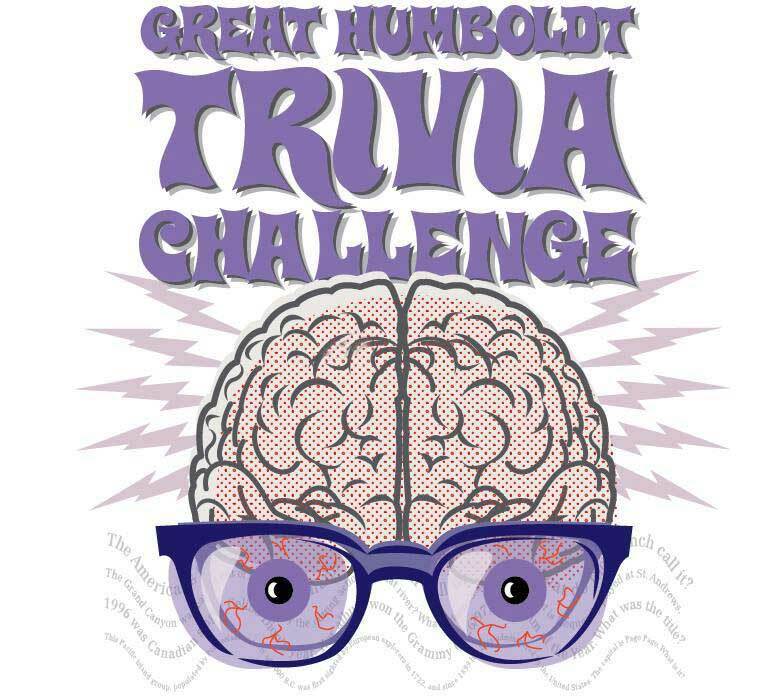 Logo illustration for Humboldt Literacy Project annual fundraiser. Logo for realtor who specializes in large rural properties. 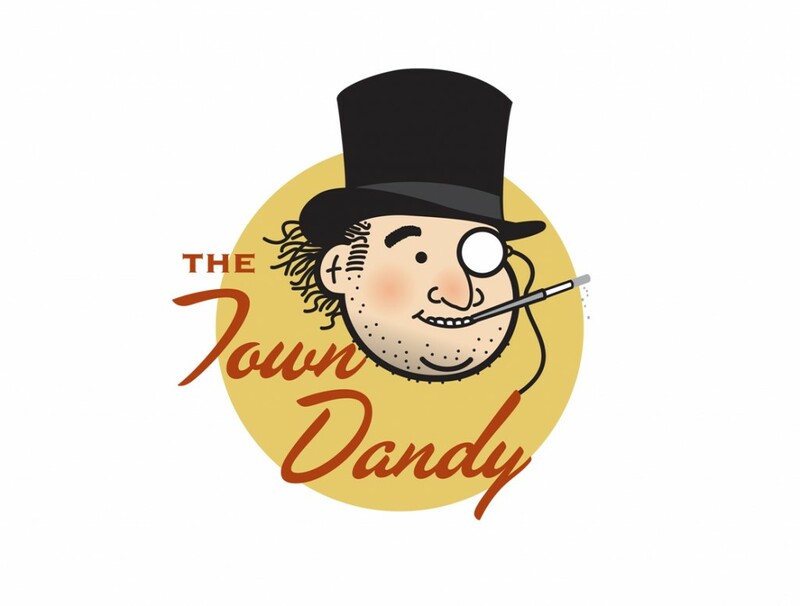 Custom illustration/caricature for “The Town Dandy,” a regular news column, by journalist Hank Sims, that appeared in a northern California alt-weekly. 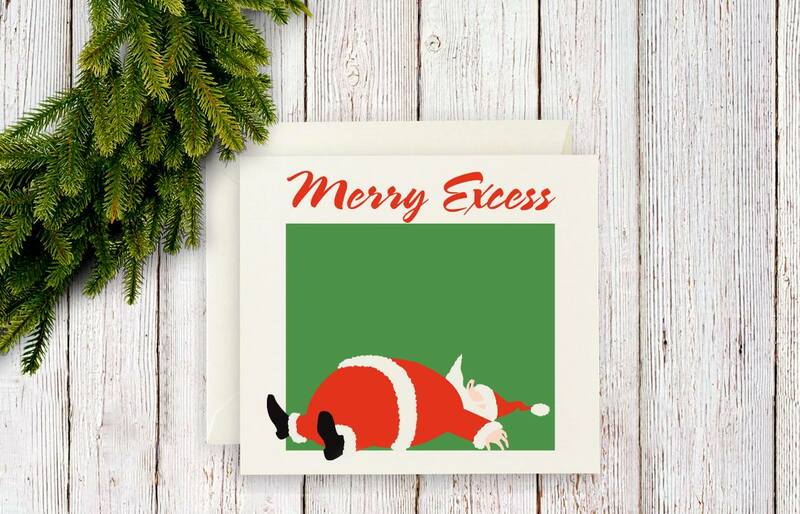 We design custom holiday cards and provide the printing, so why send expensive but mass-produced, boilerplate greeting cards to your clients? 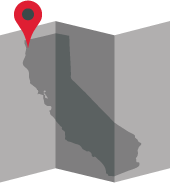 We’ll create a unique holiday greeting, branded exclusively for your business. 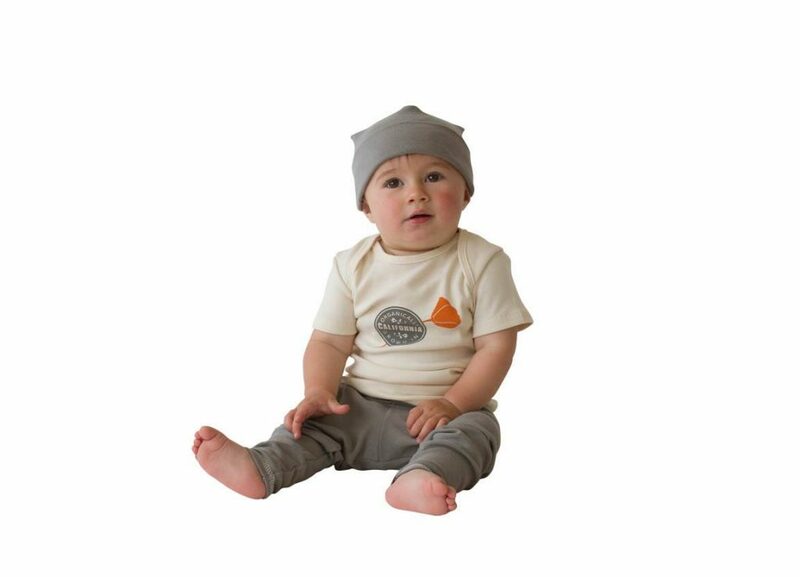 Castleware Baby asked us to create some custom illustrations to be screen printed on their 100% organic cotton baby clothes and for use on their website. 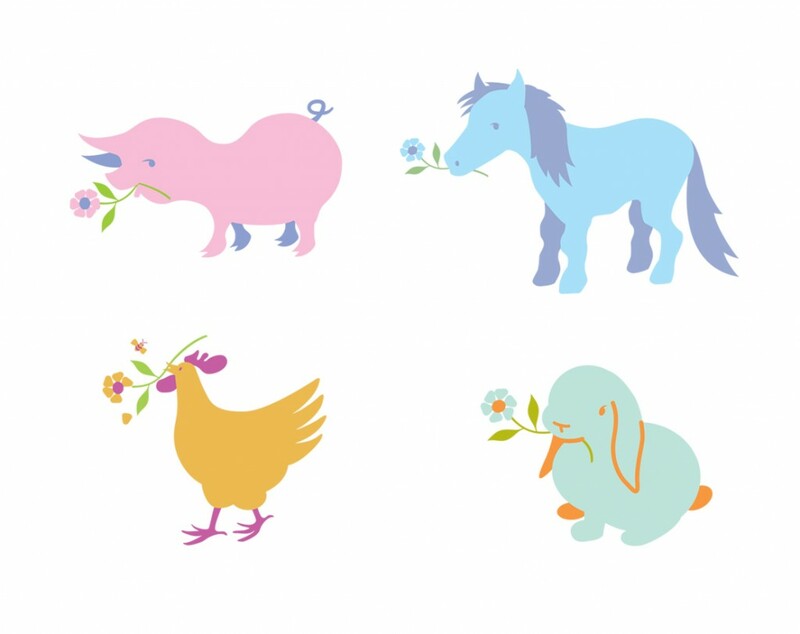 To support their message of “A clean start for baby … gentle on the earth,” the flower carrying barnyard animals create a sense of gentleness and concern for the environment. The color palette and graphic elements were extended onto the website to further the brand. 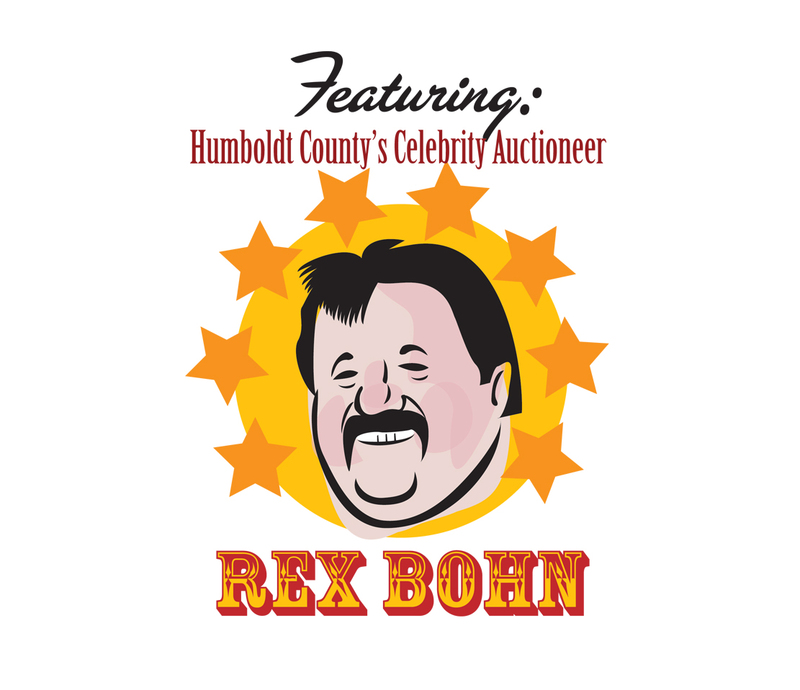 Custom illustration of Rex Bohn, Humboldt County’s entertaining fundraising auctioneer, County Supervisor , community volunteer extraordinaire and Maître du bon mot. When we moved, we only moved next door, so we wanted a striking image that would tell clients that our office was now in the middle of the three gambrel-roofed houses. 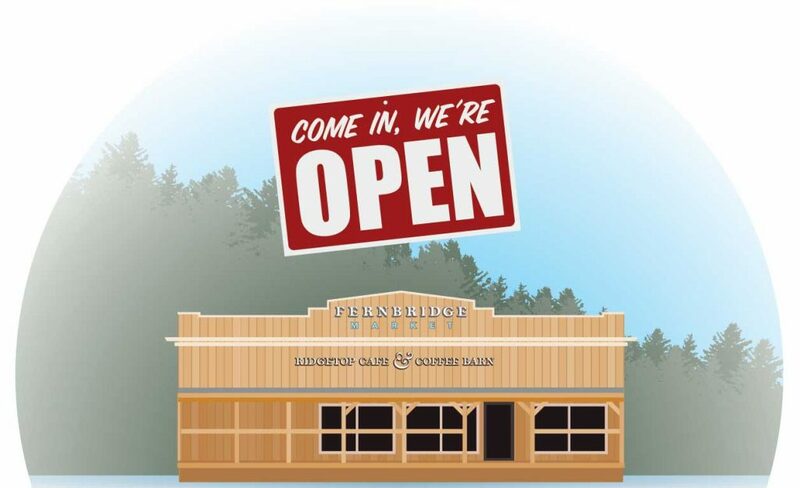 Ridgetop Cafe illustration of remodeled building. 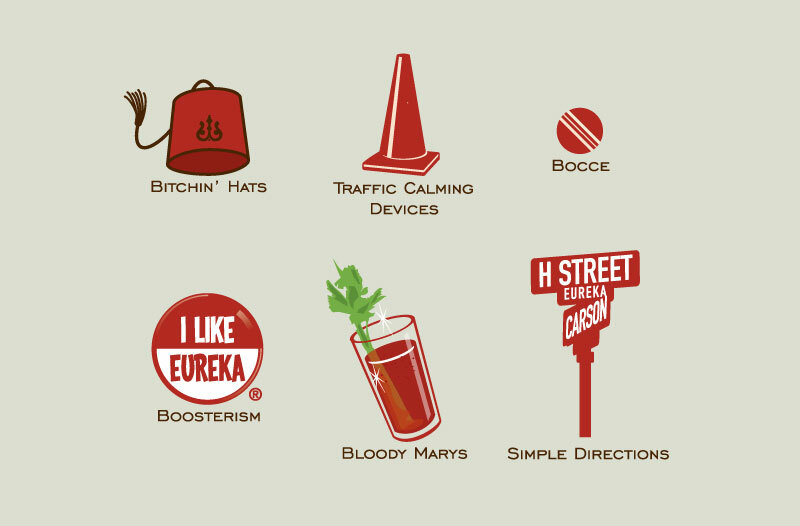 We can produce just the right spot illustration for your event, advertisement, logo or promotion. For Post Haste, we wanted the brand to be prominent and in a fixed position while the animation runs. The dominant logo reinforces the brand in every frame of the animation and is still readable as the animated object goes through its routine. We set up a pause between loops to ease the annoyance to users, while still calling their attention with the occasional movement. 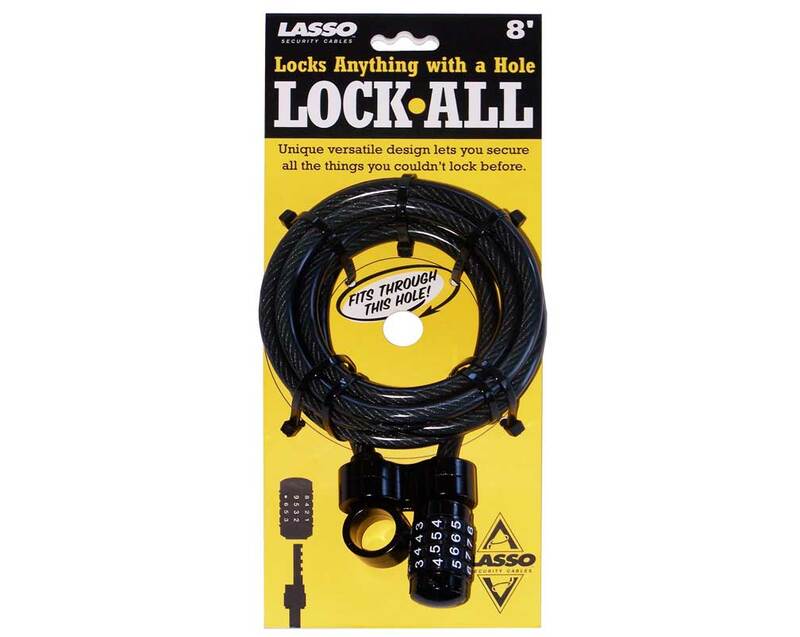 Lasso needed packaging that would compete on the shelves and illustrate how their unique cable lock works. 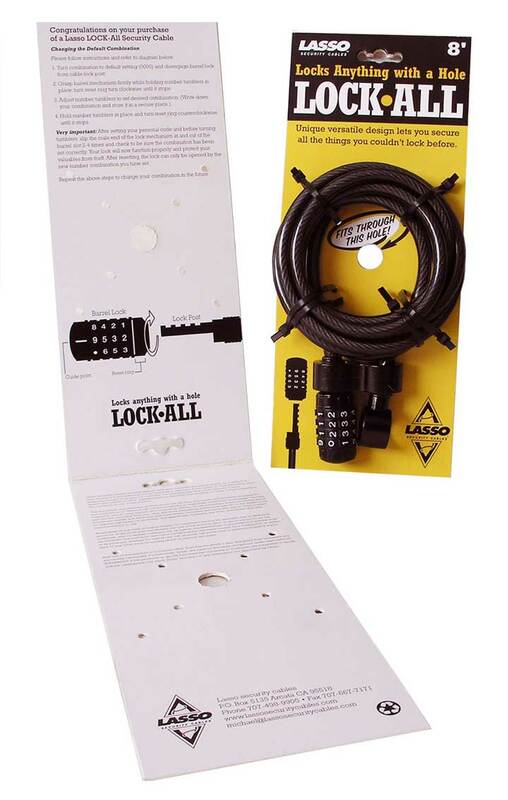 The package clearly shows how how easy this simple, ingenious lock is to use. We added a center hole to the die cut to plainly demonstrate how small a hole the cable can fit through.